Unitech MS860 - USB kit: Includes Wireless Laser Scanner, Charging and Communication dock, US Power supply and USB Interface Cable. Sleek and lightweight, the wireless Unitech MS860 can range up to 30 meters from its charging and communications cradle. The MS860 can withstand multiple 5 ft. drops onto concrete floors, thanks to its surrounding rubber nose and bumper. 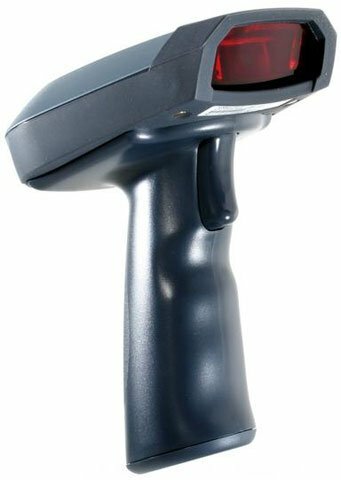 The MS860's high speed scanning, low power consumption and effective depth of field, make the Unitech MS860 suitable for a wide range of applications. Furthermore, our powerful decoder allows data to be edited and formatted before it is sent to the host, which saves time and money by making software changes unnecessary. The Unitech MS860-WUAG is also known as UNI-MS860WUA	or MS860WUAG	.